I love sending personalized cards to my friends and family. 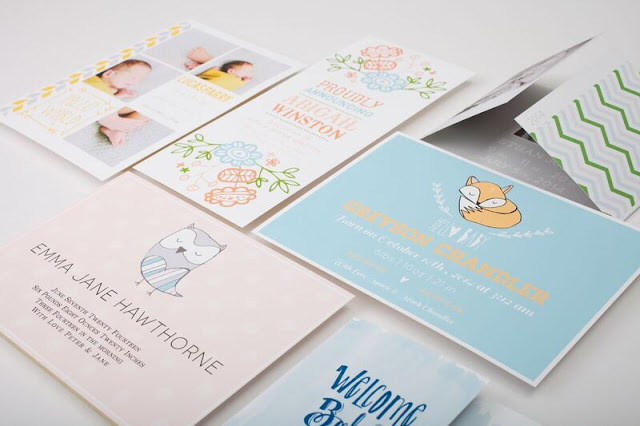 Whether it's birth announcements, baby shower invites, and first birthdays there are a lot of reasons to celebrate your special occasions with Basic Invite. Basic Invite is one of the few websites that allows customers almost unlimited color options with instant previews online. Once you select a design you can change the color of each element on the card to over 160 different color options. So you can make sure the card is exactly how you want it down to the tiniest detail. This is what sets them apart from almost any other online stationery company. 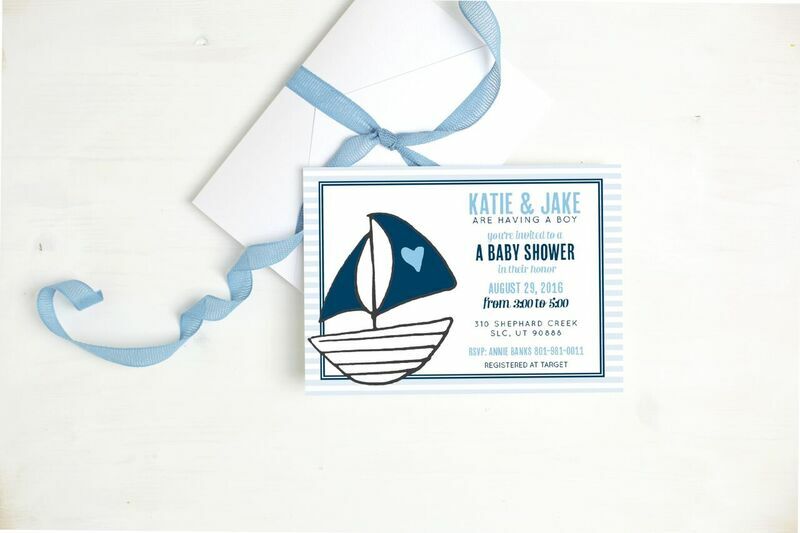 Basic Invite is one of the few websites that will allows customers the ability to order a printed sample of their actual invitation so you can see exactly how it will print as well as the paper quality before you ever have to place an order for 500 invitations or graduation announcements. Basic Invite is just as colorful with their envelopes as they are with their invitations. Customers can choose from over 40 different colors when it comes to their envelopes so that they can make their invitation stand out even before it is opened. All of their envelopes are also peel and seal so the envelopes can be quickly and securely closed without having to lick each one. With my new niece due in late July, we have so much to celebrate in our family. And having a service like Basic Invite to help us celebrate these wonderful milestones truly makes each experience unique. Baby Shower Invites, Birth Announcements, Graduation Announcements these are items you put in scrap books and cherish forever, so you want them to be beautiful, unique, and represent your style. What special event would you celebrate with Basic Invite? I love that you can change the color options and see the previews right away!! How awesome!! They are so super cute!! I would celebrate my 31st with these invites and get all my ladies together!! My son' birthday party is coming up, so this might be a good options for ordering invitations.